Melvin R. Robinson Sr., 67, of Newark, died Wednesday, February 6, 2019 at his home. He was born July 19, 1951 in Cincinnati to the late Jesse and Blanche (Linton) Robinson. Melvin was a U.S. Marine Corp. veteran who served during Vietnam. He worked at Owens Corning for 46 years and was an avid outdoors-man. He is survived by two sons, Melvin Russell Jr. (Renee) Robinson and Russell Robinson both of Newark; five grandchildren, Aryn, Alexandra, Zach, Rachel, and Adelle; two great grandsons, Tommy and Gideon; three sisters, Jeannie, Judy and Anna; and three brothers, Buster, Wayne, and Bobby. In addition to his parents, he was preceded in death by daughter, Melanie; and two brothers, Ralph and Jerry. Visitation will be Tuesday at the Brucker and Kishler Funeral Home, 985 N. 21st St. Newark from 5-7 PM. A Mass of Christian Burial will be Wednesday at 10:30 AM at St. Leonard Catholic Church with Father Michael Gribble as celebrant. Burial will follow the service at St. Joseph Catholic Cemetery where military honors will be presented by the Licking County Veterans Alliance. 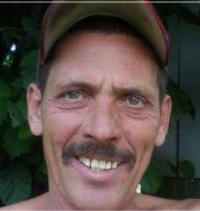 Steven Ray Church, 54, of Newark, died Wednesday, February 6, 2019. He was born November 3, 1964 to Harvey Ray and Delores Church. Steve was an avid hunter and fisherman. He loved anything outdoors. He was a true Ohio State Buckeye fan and rarely missed a game. Steve held many jobs throughout his lifetime. His current and most meaningful “job” was taking care of his mom, Delores Church. A job he did with great pride. Steve graduated in 1983 from Utica High School. He is survived by his five children, Brittany (Zach) Gardner, Courtney (Ben) Moraine, Ashely Church, Jeff Church and Brent Church; mother, Delores Church; sisters: Loretta Church, Yvonne (Mike) Morrison, Connie (Tim) Minkos, Pam (Randy) Chrisman, Kris (Greg) Stalling; and many grandchildren, aunts, uncles and nieces and nephews. In addition to his father, he was preceded in death by his sister, Anita Church Francis. Visitation will be Saturday from 2-3 PM at the Brucker-Kishler Funeral Home, 985 N. 21st St. Newark, where a memorial service will follow at 3:00 PM.